The monsoon in India depends on two seasonal winds; the Southwest Monsoon known as Summer Monsoon and Northeast monsoon popularly known as Winter Monsoon. The Summer Monsoon starts from June and is through till Mid-October; the Winter Monsoon is from October to December. The south-west monsoon brings most of the rainfall during the year in the country. India is one such country in the world which is blessed with adequate rainfall. The amount of rainfall is different in different parts of the country. The place that receives the highest rainfall not only in the country but in the world is in the north-Eastern part of India, Mawsynram. It is a village in the East Khasi Hills district of Meghalaya. It receives an annual rainfall of 11,872 millimetres. The second wettest land in the world is Cherrapunji which is almost in the same region close to Mawsynram. Travel to this region should definitely be avoided during monsoon time. Although people from across the world travel to India throughout the year, the months from October to March is the season where the country experiences the maximum tourists visit. Normally the months of summer are too hot and the months of winter are pleasant except for the places in plains. However there are places in India which would be best visited during monsoon season like Goa, Ladhak and Leh, Parts of places in South India like Mysore, etc. Some major cities like, Delhi, Bangalore and Hyderabad receive comparatively less rain during summer monsoon. The states of Tamil Nadu, Karnataka, and Kerala get most of its rainfall from the winter monsoon, from October to December. What to expect during monsoon in India? India is a developing country and the actual India is not what it looks like in metros. Most of the places in India are under developed and lacks good infrastructure. Some of the things that can be mentioned are bad roads, pedestrian paths (footpaths), bad quality of restaurants or shelters in remote places and villages, good commutation facilities. The unmade mud packed roads sometimes get so much worse that it becomes impossible to drive your way through it. Some of the tourists’ places lack even the basic essentials like toilets or motels. Since you cannot expect to stop your vehicle at the doorstep of your destination, getting drenched and falling sick with cold and fever becomes part of your travel. The situation becomes even worse if you are planning to take public transport since most of the tourist places are remotely situated and the transport facilities are not all that great. Maintaining hygiene becomes much more difficult in the rainy season. The food you opt to eat on streets or open restaurants can get easily contaminated with water splashes or the flies population that increases during monsoon season due to stagnant water pits serving as open homes for the growth of infectious insects and flies. This is also one of the reasons for the growth of mosquitoes thereby increasing the chances of diseases like dengue, malaria, typhoid, cholera among other diseases. With the heavens pouring in on some of the major cities, drainage becomes a problem causing flooding in the cities and bringing the routine life to halt. The traffic gets still and the routes get blocked forcing to take diversions, especially Mumbai is infamous for heavy rains and flooded roads. If you need to catch a flight or take a bus then it is good idea to plan and start a head of time. 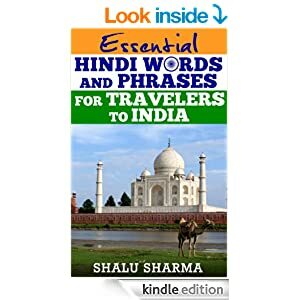 If you plan to visit India and travel in the monsoon season then there are several things that need to be worked on before you hit the roads. 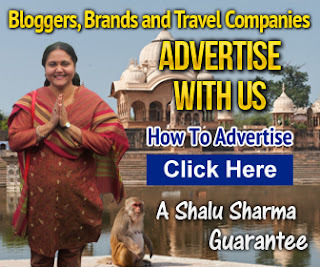 • Make your research on the places you plan to visit in India. Your research must be water oriented – how much rains to expect in the place, when to expect it, what is the place like, the facilities and infrastructures of the place, is the place travellers friendly, about the local people, where are you going to stay, what special things to be packed for that place, etc. • If you have already not planned for any places then it would be a good idea to choose the places that receive less or no rainfall to avoid adventure while you travel! • Do not be overwhelmed with the unpredictable rains that hit the place without warnings and also the amount of rainfall. Just be prepared with your monsoon gear and you are done with fun without worries. • You need to be extremely cautious with drinking water in India especially when you visit India in the monsoon seasons. 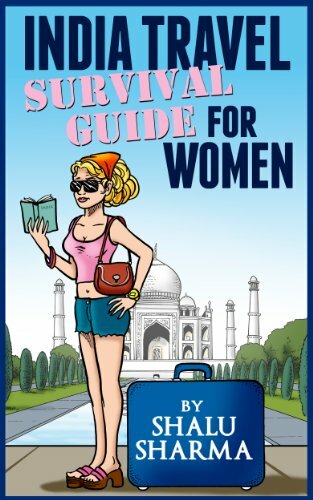 • Be prepared with ‘plan b’ in case of delayed or cancelled trains or planes or other public transports especially during monsoons (which is very possible in India). You can experience some day-to-day problems that can become horrifying if you are not all that used to such circumstances. Keeping clothes dry becomes difficult which soon starts smelling damp. Power cuts and failures happen almost every day and can last for hours. The good news is that visiting India in monsoon is still possible. You are sure to see the other side of colourful India during monsoon and also avail the low air fares and costs of stay during this season. Aaahhh Shalu Ji…your blog is becoming a well researched GK guide. I would say that all those cadidate who are preparing for IS/IAS/PCS should follow your blog to get detail knowledge about current and ancient India. Really great article Shalu Ji. At present I am in Bangalore and do not even know whether the monsoon has been here or not. But back in Byndoor, it always seemed that the rains would never stop. There was times when we did not have glimpse of sun for more than a week. The wonderful part of the season was, it left everything looking so fresh and clean. I also enjoyed the small streams and waterfalls while travelling around. Monsoon has a great impact on the country in both positive as well as negative ways. The charm of the various towns and cities is extremely luring during the days of monsoon, at the same time travelers do experience a little trouble because of the heavy rain. All what is required is a good planning and adequate amount of time margins during travels. Thanks for throwing light on the monsoon in the country. Giving the honest and real picture of the situation helps travellers a lot in deciding and coping with circumstances. Thats what has been written in this post and its really a good one Shalu. Glad to know how the monsoon is like in India. I have some friends I know who will visit India in the next couple of months, so I’d refer them to your post here so they have a heads up on what the weather is like when they visit there. Thanks for sharing, Shalu! Monsoon is a season when romance comes in action as well as diseases also spreads. We must take care with some simple tips so that we can stay healthy. Shalu your blog is awesome. Thanks for it. Monsoons are really a roller coaster ride in India and you really never know what to expect and where. nice article that explains the general scenario prevalant across India. I’ve spent a good amount of time in India, Rajasthan in particular. With the heat there, and with it being dry most of the time, I really loved it when the monsoon rains came and cooled everything down. We had a penthouse apartment there, and it was so hot, but so very nice when it was raining. It is interesting how you are able to correlate the concepts on climate and the infectious diseases vectors such as the mosquitoes. Malaria is a major scourge to Kenyan populations especially during the rainy season. shalu ji you are very intelligent . you have great knowledge. i read your article always. your are article awesome. I know this is a beautiful season to travel but in India you need to take care of so many things specially the roads to avoid all the fuss. Hii Shalu Mam, Thanks for sharing this post, I was just about to shift to Bangalore for work purpose and now i know what kind of weather bangalore would be having , thanks a lot for the share. Very nice post & Good guide. I always love to travel in monsoon season. its so much fun & relaxing. 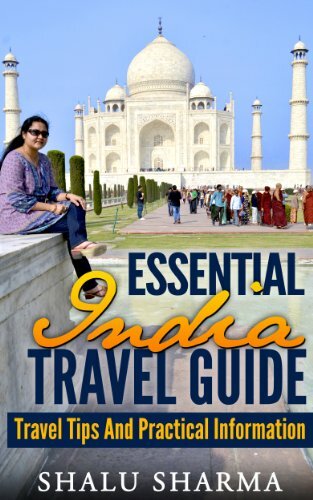 Nevertheless, great tips for the tourists who are interested to travel India during monsoons! Perhaps you could mention a place or 2 that are TO BE SEEN in monsoons?